Possible commercial per the owner. 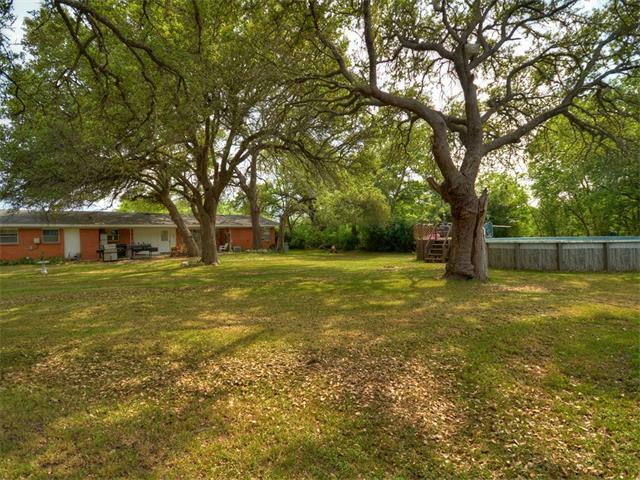 Located just outside of downtown Liberty Hill with a country atmosphere. Traditional, red brick home on an over half acre lot with large trees and lots of charm. The house has 3 bedrooms, including a converted garage and another room converted to an office/study that could be a 4th bedroom. The shaded back yard has an above ground pool, 2 storage buildings and lots of room to play. Large Circle Drive in front with parking room to spare.